We recently had Ed Lawrence one of SWAT Magazines writers attend one of our 3-Day Tactical Pistol Carbine courses. Ed called me prior to the class and asked if I was interested in the possibility of getting the course covered in SWAT Mag. 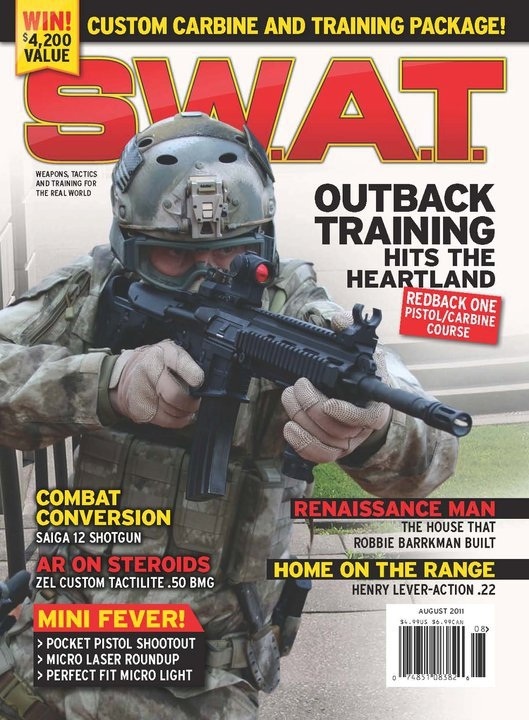 I was pretty excited about this opportunity as I have been a fan of SWAT Magazine for about 20 years! I remember driving across the city of Melbourne Australia to a local news stand that sold the magazine to pick up a copy every month. At that time I was a fresh faced 18 year old looking to join the Army! After the course concluded I spoke to Ed on several occasions clearing up some doubtful points regarding the course curriculum and in-particular our training methodology and what we call our 'Y-Factor' the reason WHY we do what we do. Not only did the article turn out great but we also made the cover! The guys at SWAT Magazine sent us the link to the article as a sneak-peak. To read the article please click on the link below. Jason, I just might have some of those SWAT mags that you drove around Melbourne for!!! Now why would that not surprise me! lol. Agreed. Get rid of cokes and most processed foods that have fructose syrup in them. You will be shocked at how much weight you lose, how much more energy you have, and how much better you feel! Oops - sorry! I thought I posted this under the exercise and diet post of yours.